The search for family photos continues, even though not with the effort and time dedication it once did. But here are some fruits of the latest search. I scanned an entire photo album for two photos and gave the back in digital format. Granted all the photos were of extended family. Colleen and Norwood Jonas, with Doug and Sandy in front. This photo is out at Hunt, Jerome, Idaho on the Johnson farm about 1957-58. Norwood and Colleen married in 1946. Colleen’s sister, June Andra (1923 – 1999), married Keith Hillstead Johnson (1920 – 1993) on 29 January 1942 in the Logan Utah LDS Temple. 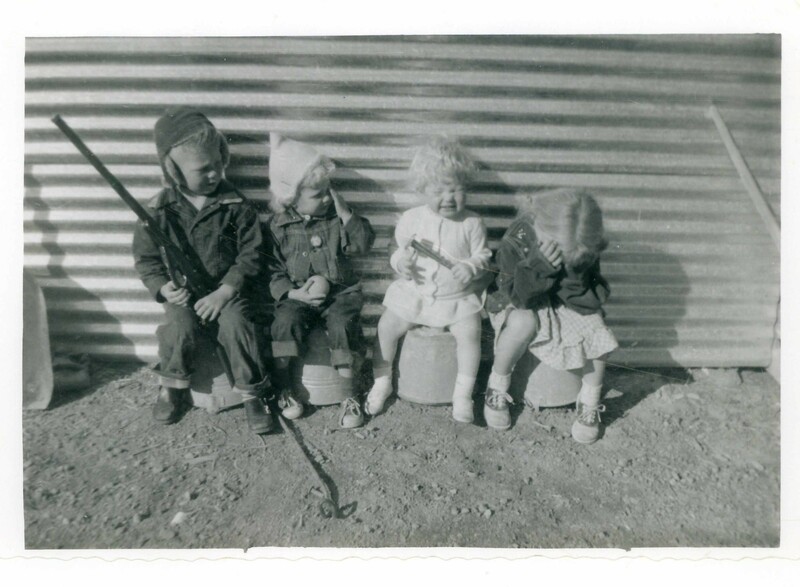 Six children were both to Keith and June: Sharon, Peggy, Lanny, Dennis (1948 – 1948), Mary Lou, and Cindy. These photos came from some of June’s albums. As is usual, when a person dies the family separates the photos among the children. Sometimes a person has to visit all the children of a person to see all the photos, if those people will even dig them out for you. These came from Mary Lou. Doug Jonas, Sandy Jonas, Cindy Johnson, Mary Lou Johnson. Not sure what happened, but it is likely a good story. 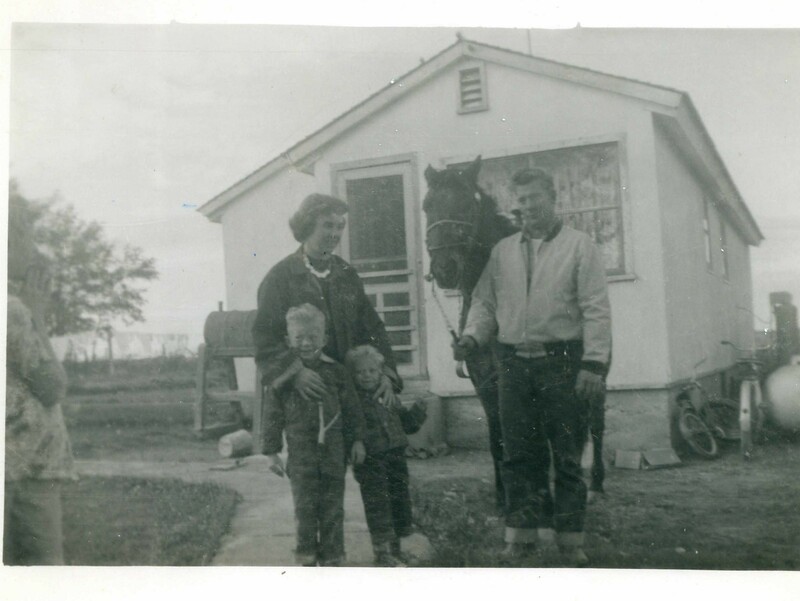 Fun to have a photo of my Mom as a little girl and Grandpa with a horse. This entry was tagged Andra, Hillstead, Hunt, Idaho, Johnson, Jonas, Logan, Utah. Bookmark the permalink.